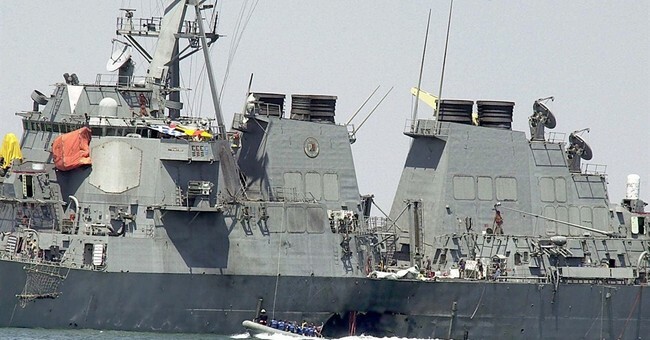 President Trump confirmed Sunday that the terrorist leader behind the 2000 attack on the USS Cole was killed in an airstrike in Yemen last week. "Our great military has delivered justice for the heroes lost and wounded in the cowardly attack on the USS Cole," Trump tweeted. Jamel Ahmed Mohammed Ali Al-Badawi was the al Qaeda operative who the US believes was responsible for the October 2000 attack on the U.S. missile destroyer, which resulted in the deaths of 17 American sailors and left at least 40 injured. After the president's tweet, U.S. Central Command confirmed al-Badawi's death Sunday as well. U.S. Central Command spokesman Capt. Bill Urban said in a statement Friday that the New Year’s Day airstrike in the Ma'rib Governorate of Yemen was targeting Al-Badawi. He was unable to confirm reports of Al-Badawi's death at that point. “Jamal al-Badawi was indicted by a federal grand jury in 2003, charged with 50 counts of various terrorism offenses, including murder of U.S. nationals and murder of U.S. military personnel,” the statement said. An administration official told CNN that "al-Badawi was struck while driving alone in a vehicle and that the US assessed there was not any collateral damage." Al-Badawi was on the FBI’s Most Wanted List due to his role in the attack.